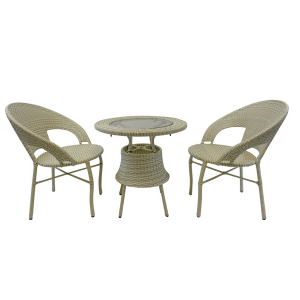 Made from solid metal frame and high quality natural & synthetic wicker. Lightweight and airy suitable for both indoor and outdoor living and small patio areas. Extremely comfortable wide seats and easy install. 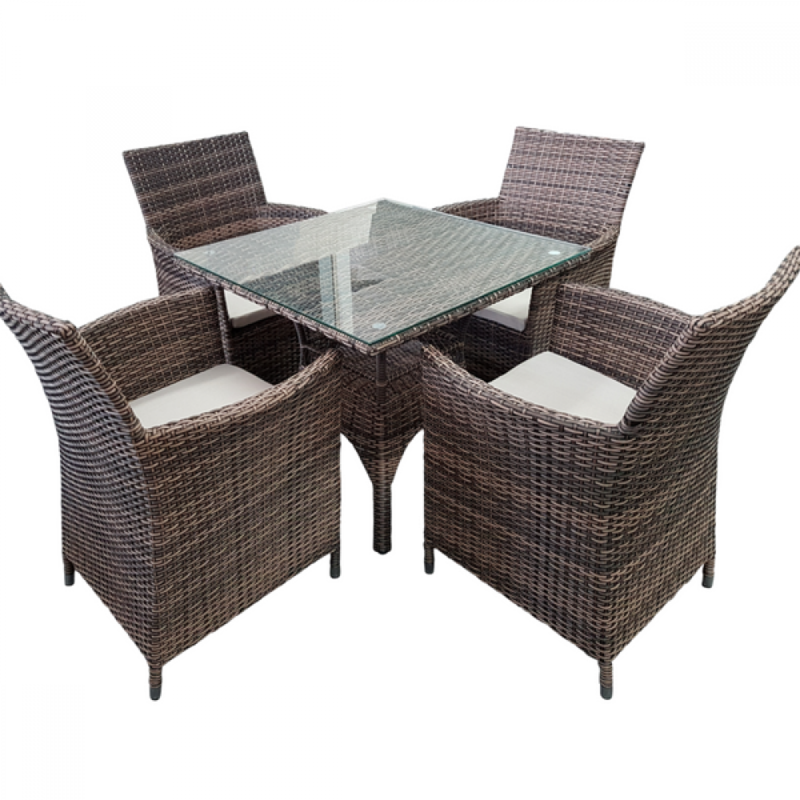 Made from solid metal frame and high quality natural & synthetic Wicker. Lightweight and airy suitable for both indoor and outdoor living and small patio areas. Extremely comfortable wide cushion free seats. Easy install. Table: height 69.5cm , diameter 80cm. Product on display in showroom. 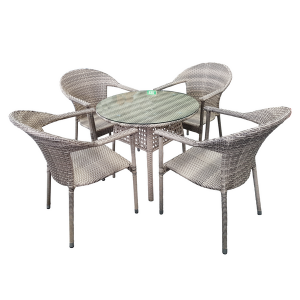 Made from solid metal frame with high quality natural & synthetic wicker. Lightweight and airy suitable for both indoor and outdoor living and small patio areas. Extremely comfortable cushion free seats. Easy install. table height 61cm , table top diameter 60cm.